Add the menu items from the left panels. To create dropdown menu: Drag the menu item toward the right (the item(s) will be indented) and drop it. 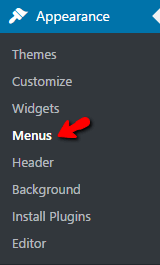 When you are done adding the menu items, click “Save Menu”. 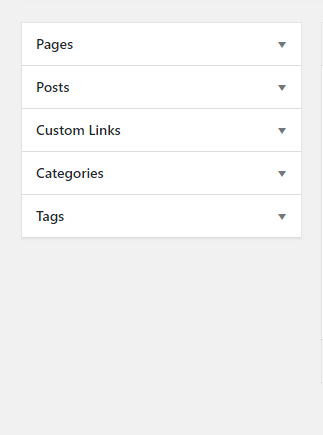 Scroll down to the bottom where it says “Theme locations” and tick the menu location checkbox. Main Navigation = main menu in the header. Footer Navigation = footer menu in the footer (note: some themes might not have Footer Navigation). Link – Adds a custom URL linking to another site. You can manage the location of the items. You can add many custom menus by creating a new menu but it will show one at a time.